Each year, Americans spend $21 billion dollars on bottled water. With numbers like that, it’s easy to assume Americans care about clean, particle free water. If filtered water is so important for human consumption, how important do you think filtered water is for plants and gardens? Unfortunately, not all gardeners understand the importance of filtering plant water. Want to know how unfiltered water is affecting your plants or garden? Keep reading to find out. If your water supply comes from a treated system, then you probably either filter your water or buy bottled water. The reason you do this is because municipal water is treated with chlorine; chlorine kills bacteria and fungi to make drinking water safe. Even though drinking low levels of chlorine is better than drinking contaminated water, we filter water because we prefer the fresh, clean, chemical-free H2O that's left behind as the result. Let’s explore how chlorine affects the health of your plants. As you now know, chlorine kills bacteria and fungi. Unlike us, fungi and bacteria are essential for plant development and growth. When you water your garden with chlorine treated water, the chlorine kills the bacteria and fungi in your soil, leaving behind a nutrient depleted wasteland insufficient for supporting plant life. Depleted soil can cause critical root damage and can cause your plants to become stunted. Also, bacteria and fungi are important in disease prevention; sterilizing the soil leaves your plants unguarded. If you want small, weak, defenseless plants, watering with chlorine treated water is the way to do it. To avoid chlorine related damage, you need to filter your water. 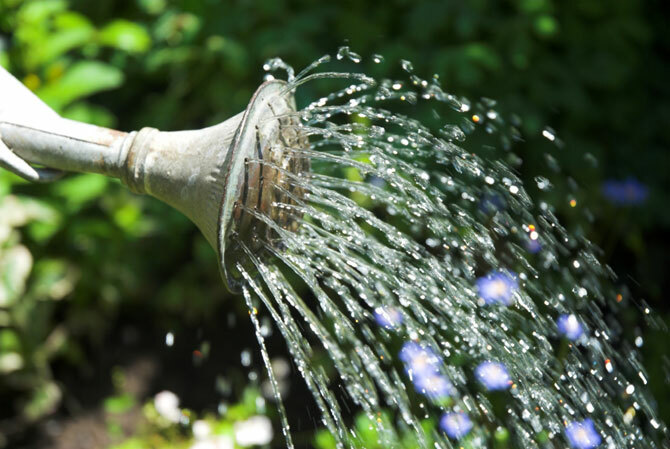 To do this, simply attach a filter to your already-existing sprinkler system or simply run the water through your kitchen filter before feeding it to your plants. The cool thing about many sprinkler system filters is that they also help keep debris and dirt from clogging your system. You don’t drink chemically treated water, so why should your plants? If you're struggling to keep your plants alive, it might be because your soaking the soil with chlorine. Filter your plants water in order to revive a struggling garden.